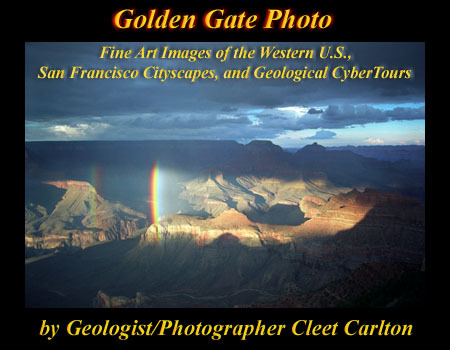 Here you will find over 200 pages of high quality images of the Western U.S. Landscape and San Francisco Cityscape. Most images are available for purchase. You can also choose to view dramatic examples of atmospheric phenomena in the "Best of Earth and Sky" Gallery. And you can take one of the Geological Cybertours, including the San Andreas Fault, California's Geomorphic Provinces, and the Cascade Volcanoes.